As IT admins worldwide implement JumpCloud®’s Directory-as-a-Service® platform, many are wondering about the ways that they can configure, automate, and manage the platform. 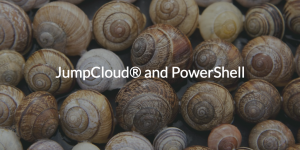 Of course, IT admins can leverage the SaaS cloud directory service’s web console and APIs, but for those that are interested in automating via PowerShell, there is a JumpCloud PowerShell module. In this blog post, we’ll describe how JumpCloud and PowerShell have come together to create a highly automated, platform-agnostic approach to identity and access management (IAM). As the IT landscape changes from being on-prem and Windows®-based, IT organizations are making the shift from the legacy identity provider, Microsoft® Active Directory®, to modern cloud directory services. 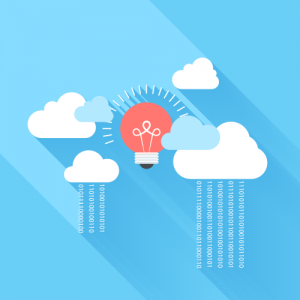 Followers of the evolution of IT know that the leap of the directory up to the cloud is one that has been long in the works, but only recently has picked up enough traction to actually make the jump. This change, though, has the potential to disrupt the automation that IT admins had created around Active Directory with PowerShell. As a Microsoft native automation framework, PowerShell is tuned to work with Microsoft solutions such as Active Directory. From an admin’s perspective, the tool is practically a godsend. PowerShell modules don’t require IT admins to code, but do allow them to create automation without having to directly interact with APIs. Think of the approach as an abstraction layer that can be leveraged via a CLI rather than having to code. As a tool in the IT toolbelt, PowerShell offers IT admins enormous power and efficiency.